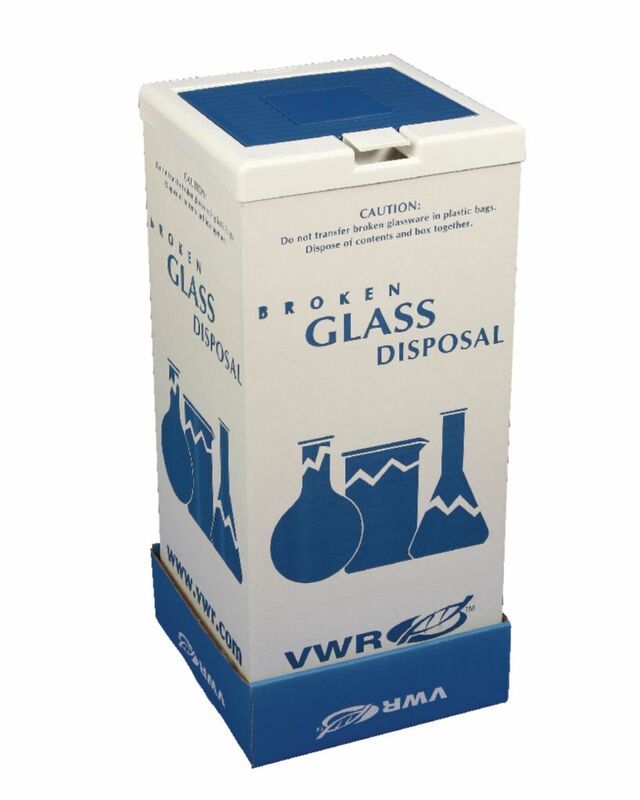 Disposal cartons provide a safe, convenient place to throw away broken glassware and residual liquids. 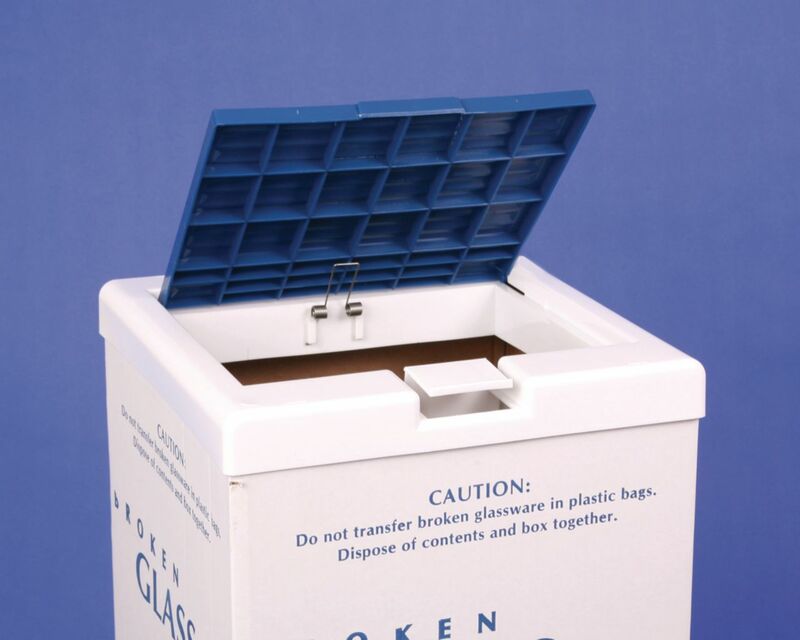 The entire unit can be disposed of as a whole once the safety cap is pulled into place. The autoclavable lid is color-coded for easy identification, and the cartons are available in floor and benchtop models. Optional reusable carton covers, for the floor model only, provide a wider opening of 20.3 x 24.1 cm (8 x 9.5”) for safer and more sanitary deposit of wastes into the container. The included polyethylene bag is 2mil thick. Pressing the built-in release tab opens the carton. No batteries are required. The carton features a smooth area on top for applying labels. Packaging: Cartons are packed flat to save space.